For over 38 years, our award winning building and remodeling company has been dedicated to high quality construction in Charlotte County, Florida. Today, we are recognized for quality and experience within the building industry. This has been earned by years of commitment to the local community. SandStar Remodeling’s creative designers and talented installation teams can assist you with all of your custom remodeling needs. From moving walls and reconfiguring your living spaces to ceiling modifications such as adding a tray ceiling, the SandStar Remodeling team can help turn your house into a home that reflects your lifestyle. Whether you desire a small custom built-in entertainment center or a complete room addition, no job is too small or too large. And when the dust settles, we’ll also help you with interior design to assure your remodel is picture perfect! SandStar Remodeling specializes in custom kitchens, baths, closets, garages and more! A graduate of the University of Florida’s School of Architecture with a degree in Building Construction, he also holds a class A General Contractors license, as well as a Florida Real Estate Brokers license. Jim is a member of the: Charlotte/Desoto Building Industry Association – twice Past President, Building Industry Oversight Committee, Charlotte County & Punta Gorda Chambers of Commerce, Rotary Club of Punta Gorda – past President, Professional Remodelors Council 20 Club – past Chair. The Sanders family resides in Punta Gorda and includes wife Cathy, son JT, and daughter Jenna. As customer concierge, Deborah will be one of the first faces you see when entering the main office. She interacts with employees, vendors and clients on a daily basis to provide quality customer service and to make the SandStar experience as smooth and satisfying as possible. Originally from Pasadena, California, Deborah currently lives in Port Charlotte with her husband, Tyler. Her interests include interior decorating, farmers’ markets, finding new ways to stay healthy and soaking up the Florida sun! 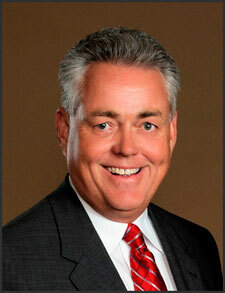 James currently heads the Construction department for SandStar Homes/Arthur Rutenberg Homes. He has been with SandStar since 2015 and brings a plethora of construction experience and knowledge and helps to keep the new home construction process running efficiently and smoothly for both clients and employees. Abbey Roloff is the Vice President of Design and Construction for SandStar Remodeling and SandStar Interiors. Abbey graduated from Edison Community College with an AS in Drafting and Design and from Southwest Florida College with a BS in Interior Design and specializes in construction design. She has also earned her Certified Kitchen Designer (CKD) certification from the National Kitchen and Bath Association (NKBA) and is working to complete her certified Bath Design (CBD) certification. Abbey currently resides in Englewood with her husband, Al. Formally trained in New York City, Olena is a career designer having worked for Ralph Lauren, Perry Ellis and Alexander Julian. She designed apparel and home furnishings in design facilities all over the world before moving to Florida. When working with Olena, you will find that your ideas are as important as hers. Her perspective and balance will ensure that the choices you make for your home today will reflect your desires and will bring you comfort, joy and contentment in the years to come. As our Remodeling Sales Consultant, Tom meets with our perspective clients to discuss their projects. He assists with the design process then writes and presents the proposals to the clients. Originally from New Hampshire, for 19 years Tom ran his own business, a handyman service, completing simple repairs, fabricating various custom wood products as well as light commercial build-outs. He also built a large home and has owned, managed and maintained rental units in many buildings. All of these experiences give him unique insight into the variety of projects our homeowners need. As a Design Associate, Cheryl assists the New Construction and Interiors divisions of SandStar with several administrative duties, including design drawings, product research and client/vendor correspondence. She also helps run the day to day operation of the SandStar Design Center. Cheryl graduated with her AS in Interior Design at Southwest Florida College and currently resides in North Port with her husband, Chad. As another Design Associate, Sue assists the Remodeling and Interiors divisions of SandStar with several administrative duties, including design drawings, product research and client/vendor correspondence. She also helps run the day to day operation of the SandStar Design Center. Jessica assists with marketing for the company, including maintaining the company website, social media networks, marketing ads, SandStar Remodeling’s monthly eNewsletter and much more. Jessica graduated with her AS in Interior Design at Southwest Florida College. She currently resides in Lincolnton, North Carolina, with her family. Marisa is a licensed realtor and she joins us as a New Home Sales Consultant. Her responsibilities include daily operations of our model home, realtor interactions, customer contact, marketing and administration. She has worked 25+ years in the creative field of fashion and has a keen eye for design and interiors. Originally from Cincinnati, Ohio, Cinda has been in sales with some of the top production builders since 2010. She spent years running her own construction team that specialized in remodeling and flipping homes. Her responsibilities include daily operations of our model home, administration, realtor interaction and customer contact. Luis Morales has been working with SandStar since 2005. He is our Lead Carpenter & Supervisor for our Remodeling Division. Luis has 16 years of experience in the construction trades. JC is a new home construction manager under the SandStar Homes division, a franchise of Arthur Rutenberg Homes. JC oversees the day to day operation of new homes being built and has over 8 years of experience in construction. 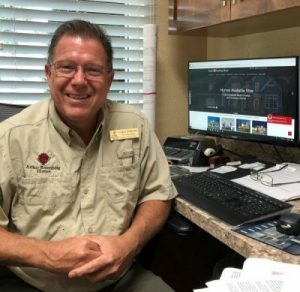 As a new home construction manager, Bruce oversees the day to day operation of new homes being built under the SandStar Homes division, a franchise of Arthur Rutenberg Homes. Bruce brings over 40 years of construction experience to the SandStar Team. Tim has been with SandStar since 2011. As our head handyman, he brings a plethora of knowledge and 15 years of construction experience to our handyman division. From changing lightbulbs or smoke alarm batteries on high ceilings to any type of construction repair, Tim is the person to handle your “to-do” list.